Give this teacher and true American a standing ovation. This 4th grade teacher has said it all, and she was brave enough to attach her name to it. I have had it with you and your administration, sir. Your conduct on your recent trip overseas has convinced me that you are not an adequate representative of the United States of America collectively or of me personally. Your bowing to the king of Saudi Arabia is an affront to all Americans. Our President does not bow down to anyone, let alone the king of Saudi Arabia…. You didn’t show Great Britain, our best and one of our oldest allies, the respect they deserve, yet you bow down to the king of Saudi Arabia… How dare you, sir! How dare you! You can’t find the time to visit the graves of our greatest generation because you don’t want to offend the Germans but make time to visit a mosque in Turkey…. You offended our dead and every veteran when you give the Germans more respect than the people who saved the German people from themselves. What’s the matter with you? I am convinced that you and the members of your administration have the historical and intellectual depth of a mud puddle and should be ashamed of yourselves, all of you. What about the U.S. House members passing out $9.1 million in bonuses to their staff members on top of the $2.5 million in automatic pay raises that lawmakers gave themselves? I understand the average House aide got a 17% bonus. I took a 5% cut in my pay to save jobs with my employer. You haven’t said anything about that. Who authorized that? I surely didn’t! Executives at Fannie Mae and Freddie Mac will be receiving $210 million in bonuses over an eighteen-month period, that’s $45 million more than the AIG bonuses. In fact, Fannie and Freddie executives have already been awarded $51 million; not a bad take. Who authorized that and why haven’t you expressed your outrage at this group who are largely responsible for the economic mess we have right now? I resent that you take me and my fellow citizens as brain-dead and not caring about what you idiots do. We are watching what you are doing and we are getting increasingly fed up with all of you. I also want you to know that I personally find just about everything you do and say to be offensive to every one of my sensibilities. I promise you that I will work tirelessly to see that you do not get a chance to spend two terms destroying my beautiful country. P.S. I rarely ask that emails be ‘passed around’…..PLEASE SEND THIS TO YOUR EMAIL LIST…. It’s past time for all Americans to wake up! This woman may lose her job for this letter.. I believe we owe it to her for expressing the outrage that we feel but fail to address. Please pass this on. IF SHE GETS FIRED THEN THEY NEED TO REPLACE THE SCHOOL BOARD. 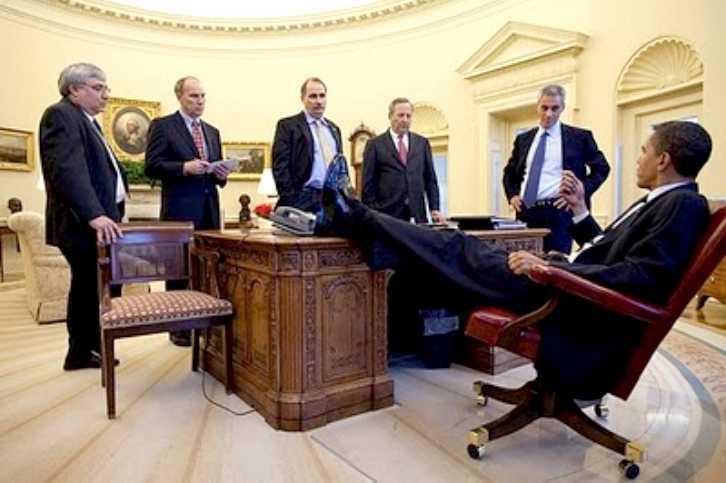 Obama – Keep your feet off the desk! Does this photo of President Obama in the Oval Office convey anything about his attitude and arrogance? Would you speak with the Chief of Staff, your Chief Economics Adviser, your Senior Adviser, or anyone, with your feet up on the Resolute Desk – a gift from Queen Victoria to President Rutherford B. Hayes in 1880? This arrogant, immature, self-centered man has no sense of honor, or simple decency. While this posture is disrespectful in any culture, it is not appropriate in any executive setting. Further, in over half of the cultures of the world, it is recognized not only as disrespectful, but as an extreme insult. He thinks of himself as a king, not as a servant of the people, humbly occupying our White House for his term in office. Electing him was an enormous mistake and will cost us in many ways, for generations. And so it was. 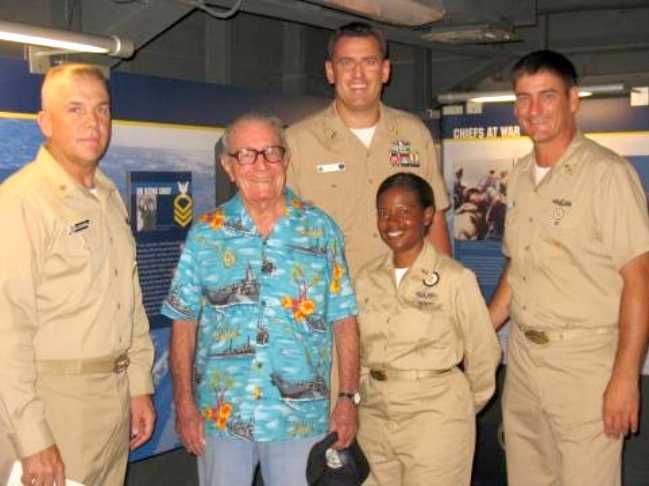 Philip Nolan was taken away and spent the next 40 years at sea, never hearing anything but an occasional slip of the tongue about America. The last few pages of the story, recounting Nolan’s dying hours in his small stateroom – now turned into a shrine to the country he fore swore – never fail to bring me to tears. And I find my own love for this dream, this miracle called America , refreshed and renewed. I know how blessed and unique we are. You surely can’t be referring to the United States of America, can you? America is emphatically a Christian nation, and has been from its inception! Seventy percent of her citizens identify themselves as Christian. The Declaration of Independence and our Constitution were framed, written and ratified by Christians. It’s because this was, and is, a nation built on and guided by Judeo-Christian biblical principles that you, sir, have had the inestimable privilege of being elected her president. You studied law at Harvard, didn’t you, sir? You taught constitutional law in Chicago ? Did you not ever read the statement of John Jay, the first Chief Justice of the Supreme Court and an author of the landmark “Federalist Papers”: “Providence has given to our people the choice of their rulers – and it is the duty, as well as the privilege and interest of our Christian nation – to select and prefer Christians for their rulers”? Did your professors have you skip over all the high-court decisions right up till the mid 1900’s that echoed and reinforced these views and intentions? Did you pick up the history of American jurisprudence only in 1947, when for the first time a phrase coined by Thomas Jefferson about a “wall of separation between church and state” was used to deny some specific religious expression – contrary to Jefferson’s intent with that statement? Or, wait a minute, were your ideas about America ‘s Christianity formed during the 20 years you were a member of the Trinity United Church of Christ under your pastor, Jeremiah Wright? Is that where you got the idea that “America is no longer a Christian nation”? Is this where you, even as you came to call yourself a Christian, formed the belief that “America has been arrogant”? Even if that’s the understandable explanation of your damning of your country and accusing the whole nation (not just a few military officials trying their best to keep more Americans from being murdered by jihadists) of “not always living up to her ideals,” how did you come up with the ridiculous, alarming notion that we might be “considered a Muslim nation”? Is it because there are some 2 million or more Muslims living here, trying to be good Americans? Out of a current population of over 300 million, 70 percent of whom are Christians? Does that make us, by any rational definition, a “Muslim nation”? Why are we not, then, a “Chinese nation”? A “Korean nation”? Even a “Vietnamese nation”? There are even more of these distinct groups in America than Muslims. And if the distinction you’re trying to make is a religious one, why is America not “a Jewish nation”? There’s actually a case to be made for the latter, because our Constitution – and the success of our Revolution and founding – owe a deep debt to our Jewish brothers. Have you stopped to think what an actual Muslim America would be like? Have you ever really spent much time in Iran ? Even in Egypt ? You, having been instructed in Islam as a kid at a Muslim school in Indonesia and saying you still love the call to evening prayers, can surely picture our nation founded on the Quran, not the Judeo-Christian Bible, and living under Shariah law. Can’t you? You do recall Muhammad’s directives [Surah 9:5,73] to “break the cross” and “kill the infidel”? It seems increasingly and painfully obvious that you are more influenced by your upbringing and questionable education than most suspected.. If you consider yourself the president of a people who are “no longer Christian,” who have “failed to live up to our ideals,” who “have been arrogant,” and might even be “considered Muslim” – you are president of a country most Americans don’t recognize. Could it be you are a president without a country?